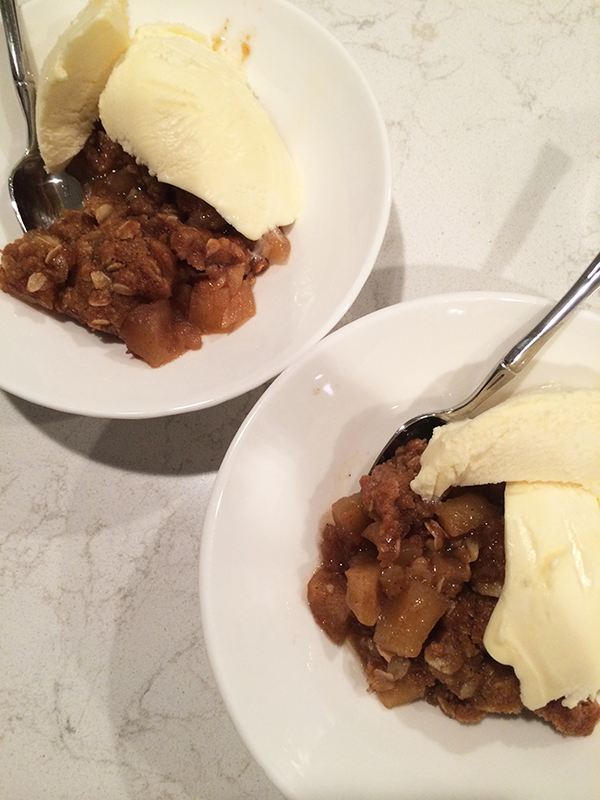 If you’ve been following this blog, or me, for a while, you probably have seen how often I make apple crisp. I shared the original recipe that I typically use a while back and it is incredibly quick and easy – and so good! Over the last couple of months, I’ve made a few modifications to the recipe simply because I was out of one ingredient or wanted to try and add something to see what happened. A couple of those changes were a hit, so I make those changes every time now. 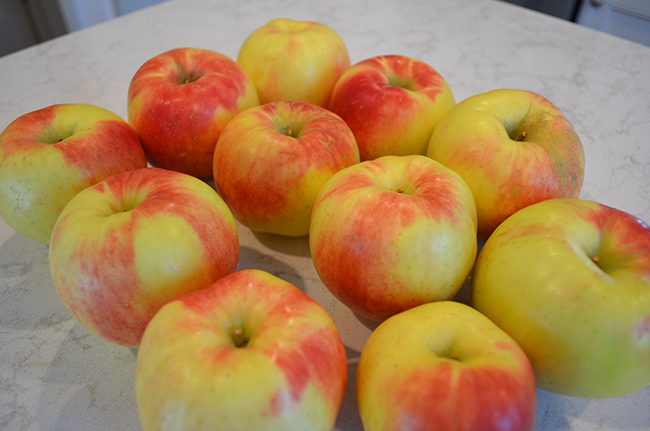 Most recently, after our apple festival weekend, I wanted to try to make my own apple pie filling to combine with the new crumble/crisp part. I did some Pinterest research and ended up making just a few little tweaks to this recipe from Weelicious, which you know is a favorite recipe source for me. Aside from the time it took to cut and prep the apples for the filling, it was really pretty easy and, I’m sure, at least a little bit healthier than the canned filling. Melt butter in a very large skillet. 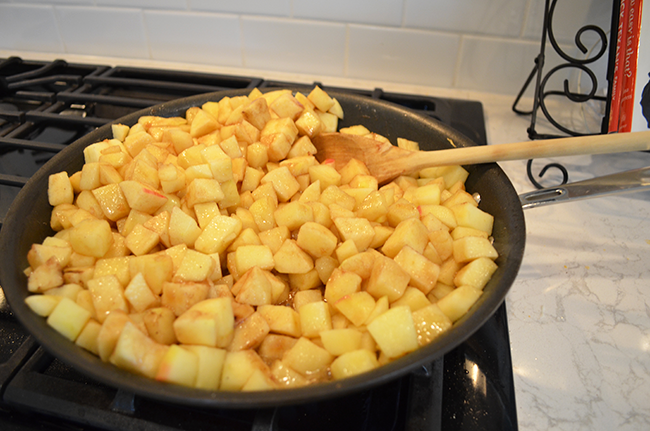 Combine apples, sugar, cinnamon, allspice, nutmeg and salt in skillet and cook for 10-15 min. 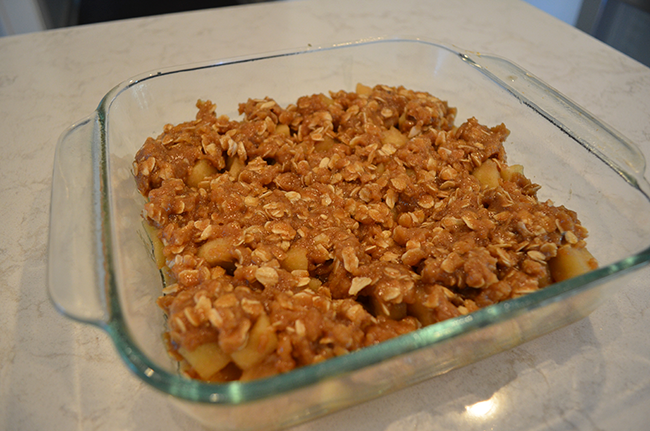 Make sure there is a little bit of crunch to the apples because you are still going to bake these later. Allow to cool for 15-20 minutes. While the filling cools, make the crisp. Combine all ingredients in a bowl, it should be all buttery and crumbly with no dry spots. Grease a 8x8 baking dish. Fill approximately half way with filling (you should have extra, which you can freeze or double the crisp and make another one!) and top with crisp topping. Bake for 45 - 60 min. I like to bake mine for 45 min for a gooier topping, but if you like more crunch, add more time.